Although our area has been graced this month with several days of sunshine and cloudless skies, it has spelled doom and suffering for many residents of Pierce County as the air – particularly on weekends – fills with wood smoke from numerous debris fires. Hundreds of homeowners and some businesses are using the drier weather to clear their lands of downed trees and limbs deposited by the Big Storm in January. The wood smoke is increasingly seen as a serious public health issue, and the statistics for health impacts are staggering. 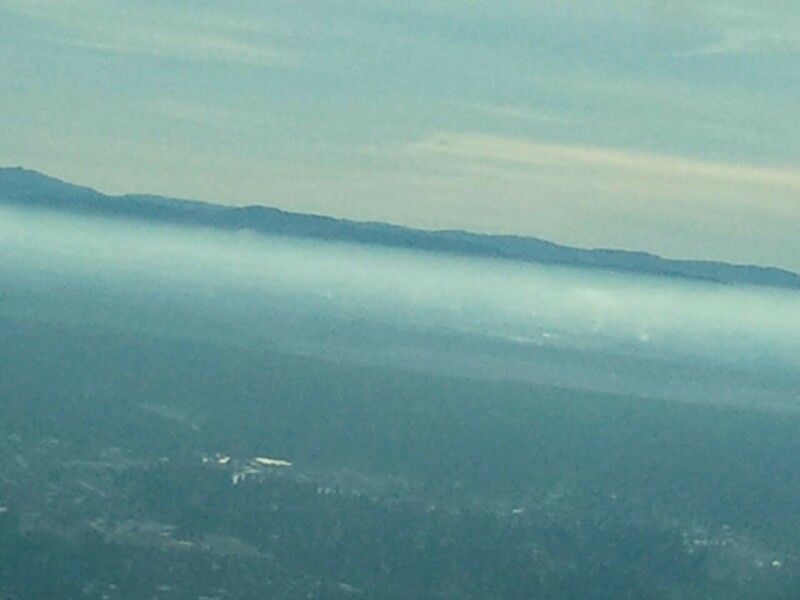 The Puget Sound Clean Air Agency reports that 140 deaths in Pierce County are caused by chronic exposure to wood smoke. Statewide, this number soars to an estimated 1,100-4,000 deaths, and wood smoke also causes at least 1,500 non-fatal heart attacks. In addition, there are thousands of hospitalizations for aggravated asthma attacks, pneumonia and bronchitis, along with other pulmonary disorders. The PSCAA estimates that the health costs caused by wood smoke approaches $190 million statewide. These statistics are for exposures to all forms of wood smoke, whether it comes from a wood stove or a so-called “yard waste” debris burn, and for the sake of clarity in this article we will focus on debris fires and save the issue of wood stoves for a later time. Statistically, the US Environmental Protection Agency estimates that about 6% of the total pollution in our air comes from debris fires and another 10% from wood stoves. That is a national analysis, however. Nevertheless, the PSCAA estimates that about 185 tons of particulate matter, some as small as 2-3 microns in size, are emitted into the skies of Pierce County from debris burning each year. 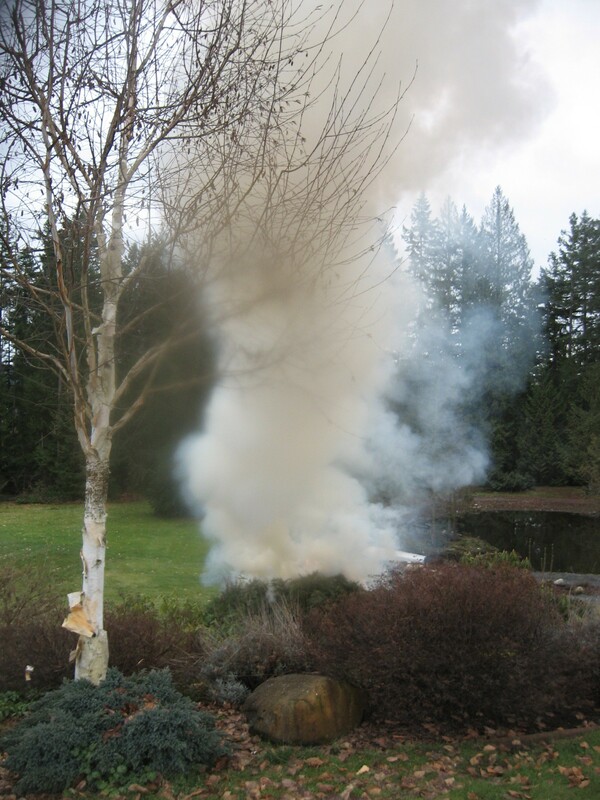 As for the problem with our yard waste fires, an oddity of nature results in the concomitant sunshine and smoke. High pressure systems off-shore keep the rain clouds away, but the winds slacken and cold air inversions in the Puget Sound basin trap much of the smoke near ground level. The smoke layer over southern Pierce County on Sunday, February 5, caused by a atmospheric inversion of cold air and still winds. Tragically, this was during a burn ban. Picture courtesy of Lisa Ottoson. As a result, the Puget Sound Clean Air Agency issues burn bans to lessen the amount of wood smoke entering the atmosphere – and lungs – of the residents of Pierce County. Already in 2012, there have been three burn bans instituted due to health concerns: January 11-14, and 27-28, and February 3-6. The burn bans forbid any debris burning anywhere in the county, along with restricting the types of wood stoves and fireplaces that may be used indoors. Obviously, smoke is considered a major health hazard throughout the entire county, but is perhaps most noticeable in the rural areas of southern Pierce County, where residents have more acreage and trees, and thus more debris to burn. On the weekend of Feb 3-5, the smoke was chokingly thick in the Eatonville-Graham-Roy area despite the burn ban. Certainly wood smoke is a problem for the whole county whether from wood stoves or debris fires, and in some ways the two issues are separate. Smoke from chimneys is more of an issue in the urban areas of central Pierce County, particularly in the Spanaway, Parkland and East Tacoma neighborhoods, while smoke from outdoor fires may be more of a problem in the southern, rural areas. Seasonal issues also arise as wood smoke from chimneys is more of an issue in the winter. As a result, debris burns are prohibited by state statutes within the urban growth boundary line, which generally runs along the northern border of Graham in the 200th-204th St corridor, and includes Spanaway, Frederickson, Parkland and South Hill. In addition, the burning of yard waste is prohibited at all times in the Towns of Roy and Eatonville. Further, to burn debris in the legal areas one must obtain an outdoor debris fire permit from your local fire department, and they are increasingly restrictive. Central Pierce Fire and Rescue, which covers Spanaway, Parkland and southwestern Graham, does not issue any permits for a debris burn within its jurisdictions, even south of the urban growth area (UGA) boundary that dips below 224th St in the Elk Plain area. “We are a no-burn district,” said Assistant Chief Randy Stephens, emphatically. Hence, yard waste burning is banned in the Mountain Hwy area at all times as far south as 320th St. In addition, the Graham Fire and Rescue Department bans debris fires far south of the UGA, prohibiting outdoor fires north of a 232nd –260th St axis in most of its district, with some variations east of the Orting-Kapowsin Highway. That leaves the South Pierce Fire and Rescue Department, which handles the unincorporated areas of Roy and Eatonville, to regulate most of the burn fires in south Pierce County. SPFD issues about 150 fire permits annually. Lastly, any legal debris fire may be extinguished if it causes medical distress. This latter provision triggers many contentious disputes between neighbors and firefighters, and is a significant drain on fire fighting resources. To whit: over the burn ban weekend of Feb 3-6, one-third of all calls received by the South Pierce Fire Department were smoke complaints. Deputy Chief Gray Franz says that comparable numbers exist for the Graham Fire and Rescue Department during the current atmospheric conditions, and in 2011 the GF&R responded to a total of 172 smoke-related incidents, with the majority of those being illegal burns. Further, Graham Fire Chief Reggie Romines has currently assigned a firefighter on light duty to monitor the burn permits and respond to smoke complaints. “We have to play smoke cop,” said Graham Fire Commissioner Bob Skaggs, who readily acknowledged the political and cultural issues that are fueling these incidents. Skaggs, and nearly every firefighter I’ve spoken with, stressed that the issue of burning yard waste is a highly contentious matter as it pits property rights advocates against those who desire the pure clean air they envisioned when they moved to the country. Skaggs told the Mountain News that he doesn’t want to see his firefighters placed into the middle of a neighborhood dispute, but strongly declared that his crews would put out a fire if someone’s health depended upon it. “We’ll err on the side of health and safety,” he said. Chief Grant also said that he sees disputes over wood smoke turn into neighborhood feuds that are difficult to resolve. In fact, the Chief said that his department has been forced to call for police escorts on occasion to extinguish illegal or hazardous burn fires. “Our crews have received a couple physical threats,” Chief Grant told the Mountain News. Compounding the contentious nature of the issue is the question of exactly what kind of yard waste is being burned. State and local regulations clearly state that the material must be dry – not wet or green vegetation – and must come from the property where the fire is located. Hence, the burning of much of the downed material from the Big Storm is technically illegal since it is green vegetation. However, the suitability of the material being burned is a judgment call for the responding firefighters to make, and in practice it appears that this issue is often over-looked. Nevertheless, some firefighters are pushing hard for stricter compliance. Pierson acknowledged that his department is not a regulatory agency, and he said that violators of the burn permits or burn bans – if they don’t comply with a neighborly verbal request from the GF&R – will be referred to the Puget Sound Clean Air Agency for punitive actions and possibly fines, which can be steep. In 2011, the PSCAA received six complaints from fire officials for problematic outdoor burning in south Pierce County and also issued eight “Notices of Violation” and two “Written Warnings”. In addition, five monetary penalties were levied, ranging from $7,371 to $16,189. By state statute, the PSCAA has the authority to impose fines from $2,000 to $16,000 per violation, and also assess the costs of putting out the fires, which are then added to the penalty. In all of this there is a cruel irony – none of the yard waste in Pierce County has to be burned as there are several alternative methods of clearing debris – most notably chipping the material into mulch, or composting. In addition, the material can often be left in place for Mother Nature to dispose naturally. Also, several townships provided large dumpsters to collect the material and haul the greenery to a landfill or the Waste Connection composting facility in Graham, which is also available to county residents at no charge. The composting yard is known as Hidden Valley and is open seven days per week, 8 am until 5:45 pm. Yes, the waiting times to unload a pick-up truckload of yard waste at Hidden Valley this month have been horrendous, with stories told of lines stretching out to 176th St and Meridian – with some cranky homeowners requiring supervision from off-duty Sheriff’s deputies. But clearly, the success of the Hidden Valley facility heralds a stupendous business opportunity, one that Waste Connections seeks to corral as it builds a regional, state-of-the-art composting plant in Thurston County. Local landscapers and tree service professionals indicate that this business opportunity isn’t going to disappear any time soon, and some predict that the clean-up from the Big Storm of 2012 will last into summer, meaning that many weekends may see smoky skies unless something changes. To that end, a total ban on debris burning in Pierce County is possible and many are pushing for it, as the Graham Fire Commissioners attest. However, it will take the power of the state legislature to make that change. Locally, however, that is problematic. All three state legislators from the 2nd LD – the legislative district that encompasses southern Pierce County and therefore is responsible for a large portion of the debris smoke – seem to be dodging the issue. State Senator Randi Becker, State Representative Jim McCune, or State Representative JT Wilcox – all failed to directly return any of my emails or phone calls despite the fact that this issue is a matter of life and death for many constituents. Yes, I spoke with staffers from each of the legislators, but what they told me was not encouraging. Senator Becker’s staffer told me proudly that Randi was planning to burn the debris piles her husband had diligently raked together the previous weekend, but she was holding back his hand until the burn ban of Feb 3-6 was lifted. “She wants to make sure that he waits until it’s legal,” the young woman told me. The staffer seemed surprised when I informed her that 140 people die each year in Pierce County from wood smoke, a reaction made even more disturbing since Senator Becker sits on the Senate Select Committee on Health Care and campaigned on the lessons she learned during her lengthy career managing a medical practice. I encouraged the staffer to relay the medical impacts of wood smoke to Senator Becker and tell her that I would very much like to get her personal comments on this issue before this article posted. Despite numerous efforts to get in touch with her, Senator Becker has not responded. More disturbing was the action of Representative Jim McCune’s office. His highly capable and ever-present staffer, Amy Cruver, returned several emails and phone calls immediately. However, she seemed to challenge the data from the Puget Sound Clean Air agency, asking me if I was getting additional sources to verify the data on health impacts. “Are you disputing the health impact data from the PSCAA and Department of Ecology?” I asked her. She hedged, and simply said that she thought it would be wise to get information from other sources. Ms. Cruver offered to send me links to some of those sources, which I gladly accepted. However, they proved to be bogus; one was a link to the conservative policy group called the National Center for Policy Analysis and it only discussed emissions from coal-fired electrical generating plants, mostly in the Ohio Valley. In short, none of the documents provided by Ms Cruver disputed the notion that wood smoke kills hundreds of area residents and puts thousands more in the hospital with serious pulmonary conditions. But, even if you don’t believe any statistics from a governmental health agency, how about accepting the personal testimony of a neighbor? Nancy Mays is a long-time Eatonville resident, and theoretically she should be protected from debris smoke by the stringent regulations banning yard waste burns within the town limits. Yet, when I met her at Bruno’s Restaurant on February 8, a legal burn day for the surrounding areas, the air was acrid and she was coughing almost continuously. Nevertheless, we discussed her situation coping with filthy air and managing a life-long asthmatic disorder. “I told my husband that this – the smoke – it’s going to kill me,” she said between gasps. She also told me of numerous trips to the doctor and many pharmaceutical trials seeking an inhaler that will work but is also affordable, and other medications to help with the pulmonary inflammation that closes off her air passages. Nancy Mays. 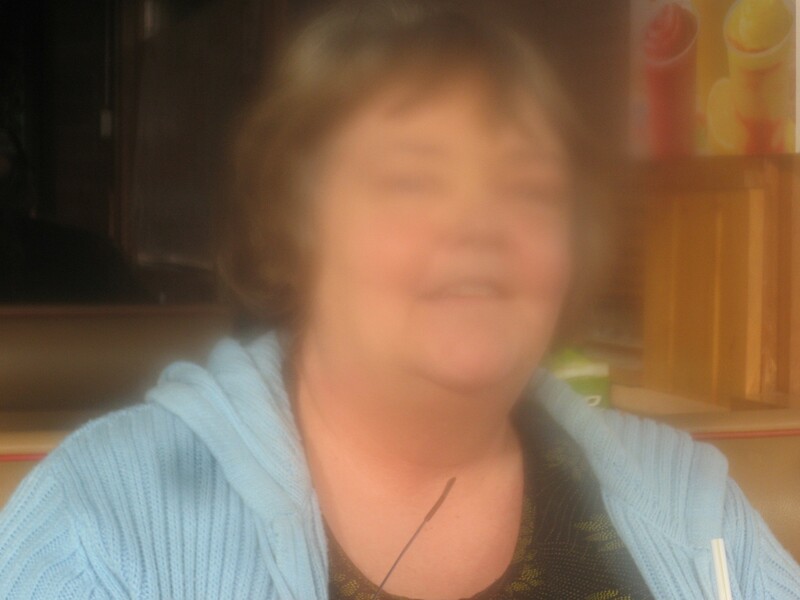 Note: the picture has been distorted to protect her privacy. Or, how about a fire chief? Even though debris burning is banned throughout the Central Pierce district, fires from yard wastes are a tremendous problem for CP and health impacts are a pronounced concern. On Wednesday, February 8, I went on a “smoke patrol” ride-along with Chief Grant from the SPFD. As we drove away from his HQ at the 340th St station he pointed out several properties where homeowners were stockpiling branches and downed limbs. “There’s nothing I can do about them now, but they’ll probably be burned in the near future,” he told me. Chief Grant then drove past a large property in the 34000 block of 78th Avenue, and pointed out a huge burn scar on the land – at least twenty-feet long and five or ten-feet wide. The Chief told me that it had been an illegal burn operation for a small logging company sited on the property. Not far away from the scar were pieces of timber – long logs, some of which were at least twenty-feet in length. I shuddered envisioning how much smoke must have come from this fire, and the chief indicated that the land owner had been referred to the Puget Sound Clean Air Agency for punitive action. Then we headed down to a huge fire on SR 161, at a commercial Christmas tree farm just north of Eatonville. A column of smoke at least two-three wide was soaring into the air. At about thirty feet up it pancaked as it hit a layer of cold, dense air. An illegal debris burn at a Christmas tree farm, located along SR 161 north of Eatonville. The smoke then spread across the skies to the north, where it got captured in a down-draft and plunged back down to the ground. There, it completely enveloped a small strip of apartments and left a thick haze over the highway. I had seen this fire several days prior, on the Saturday of the burn ban weekend, and the fire was producing just as much smoke then as it was when Chief Grant and I arrived. As I donned my dual-stage respirator to protect me from the ambient smoke, Chief Grant approached the nearby residence and knocked. A woman answered and said that they had an agricultural burn permit for the fire. Chief Grant asked to see it, and the document proved not to be an ag permit, but a regular one from the SPFD. “You’re going to have to put out the fire, Madame. It’s producing just too much smoke,” said the Chief. Shortly after, her husband appeared riding on an ATV, and after a short conversation with Chief Grant he agreed to extinguish the burn fire. Shouting through the respirator I introduced myself to the gentleman and I asked how long he had been burning the woody debris. I countered and said that I had observed a fire identical to the current one on the previous Saturday, during the burn ban. I asked if he could confirm that he was burning during the ban. “I really don’t remember if we had a fire then,” he replied. Feeling woozy from the smoke, I decided to let the matter drop. Chief Grant and I walked back to his vehicle, and as the homeowner neared the burn fire with a garden hose the Chief drove away. As we departed the tree farm, the Chief and I wondered why the homeowner didn’t mulch or chip his debris. Truth be told, I have a dog in this fight. I am one of those who struggles breathing with smoke-laced air. In fact, I became a journalist because of an inhalation injury I suffered in 2005 working as a stage carpenter in Seattle. By 2006, I was so sensitive to diesel fumes and car exhaust that I could no longer commute to work – let alone do my job – so I said goodbye to my tools and the theater, and took a job reporting the news for the Eatonville Dispatch. My medical condition is called Idiopathic Chemical Sensitivity Syndrome, and initially L&I sent me to a slew of doctors for a ton of tests, but the bottom line was quite simple: to recover I needed zero exposure to sawdust, glues, welding fumes, paints and the diesel fumes from the trucks on the loading dock and the propane exhaust from the high-lows tending to them. Most of all, I needed to be free of the fine particulate matter that comprises much of the material in wood smoke. Scientifically, fine particulate matter is known as “PM2.5s,” designating particles that are less than 2.5 micrometers in diameter, which is about 1/30th the diameter of a strand of human hair. These particles are perhaps the most noxious elements of wood smoke as they are able to penetrate deeply into the lungs. They also carry any number of toxins, carcinogens and microbes piggy-back style into the vital tissues of the lungs. In addition, wood smoke is laced with noxious gases, such as sulfur and nitrous oxides, which combine with water in the moist tissues of the lungs to form acidic compounds, further harming the organs. It’s all very dangerous, and too much exposure can kill. 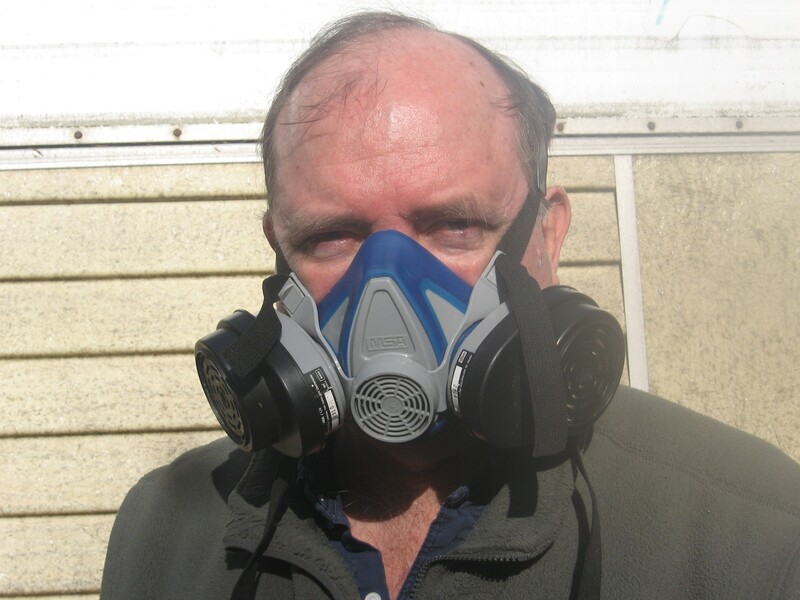 Nowadays, one whiff of wood smoke or diesel exhaust can knock me to my knees, and I generally travel everywhere with a dual-stage respirator to save me from calling 911. It’s a royal nuisance, but I function. Yet, these days I find that my chest tightens more frequently with the near-daily breathing of dirty air. As a result, I need to see clear skies and pure air return to Pierce County. I insist on a total ban of all debris burning and a vigorous enforcement. To combat wood smoke from debris burns, South Pierce FD’s Chief Grant recommends the following: call 911 for fires that are large, unique, or coming from an unknown source; for more chronic nuisance fires that are coming from a known source call the Puget Sound Clean Air Agency directly at their hotline number: 1-800-595-4311, or the direct line to the agency at 1-800-552-3565. Remember, trash and construction materials are never allowed to be burned at any time anywhere in Pierce County. In addition, land-clearing burns are also prohibited throughout the county at all times. Also, Brian Flint of the Department of Natural resources told the Mountain News that the DNR does not allow any burning of slash piles in Pierce County and has not issued any permits to do so throughout the Puget Sound basin. Along those lines, the range burning activities of the military at Joint Base Lewis McChord can produce huge amounts of smoke. However, most of those burns occur in the summer when wood smoke loads from other sources are reduced. Nevertheless, the rationales of the Army to burn dozens of acres of prairie and fill our skies with voluminous amounts of smoke will be explored in future articles in the Mountain News. Note, the PSCAA does allow recreational fires and ceremonial fires in most locations in the county, but a fire permit from your local fire department is usually required. “Working together for clean air” www.pscleanair.org or follow the PCSAA on Twitter and Facebook: www.pscleanair.org/twitter or www.pscleanair.org/facebook . – 400 emergency room visits for asthma, and thousands of incidents of worsened asthma. Ecology estimates that the direct and indirect costs of these diseases for citizens, businesses and state health care institutions approach $190 million each year. This entry was posted in Culture, Eatonville News, Environment, Frederickson, Graham News, Parkland, Politics, Spanaway, Weather. Bookmark the permalink. Hmmmm, as a “Newbie” here in Graham….is it any wonder that I have developed asthma?! I remember a previous article that I wrote about the possibility of air pollution from the army base all summer long. I thought it might be from spent ordinance but perhaps it’s really from the burning of brush and prairie land. As you know Bruce, we have our own little issues here in Graham with neighbors burning their trash and debris. It’s a questions of keeping the peace in the neighborhood or complaining about smoke choking me. People can be thoughtless that’s for sure. The neighbor who burns his trash ironically is the neighbor who is slowly dying of respiratory problems. He’s been hospitalized a couple times already. Funny that he can’t put two and two together. I like your suggestion of mulching wood debris….great idea. Just an aside. You mentioned before that you wanted to get a wood stove and I for one agree that as far as dealing with all the power outages around here, a wood stove would be a good choice for heat. What do you have to say about this dichotomy? I have two thoughts on heat from a wood stove. One is that I would not use a wood stove as my primary source of heat. I currently depend on electric heat. Two, when the power goes down there is nothing like having a wood stove. So, in my envisioned world, I would have both, and the wood stove would be the most modern, up-to-date, technologically advanced piece of hardware going. Plus, I would like to have a straw-bale house with the utmost insulation factor. When it comes to saving money by burning wood, it is becoming increasingly clear that somebody else will be picking up the tab – the somebody who is buying the meds or paying the doctor bills. So, heat is a complex subject. I’ll be diving into it in the near future with a separate piece on wood stoves. Today was debris. Next week stoves. Pat Mills is having a problem breathing so I explained to her (as we learned in the GBA meeting) that after the ice storm many folks are burning their debris so the air is extremely hard on lungs that are already compromised. We will not burn our debris. We shove it over the hill and let it decompose and add enrichment to the soils. Fortunately we have a hill to shove things over. Wish we all did! Omg. I just found your site. We live in Roy. Every weekend the neighbor burns his trash. My husband can hardly breathe. Nothing has been done. We have compained to the police and clear air!! The burning continues. We are afraid to do anything else because of retaliation. Do you have any ideas? Greetings Debbie, and yes, I have some suggestions. Here they are, as per instructions from the South Pierce Fire District. First, know that trash burning is always prohibited every where in Pierce County at all times. Period. Remember, any talk about a Burn-Ban is just crapola. The only material that may be burned is natural debris that comes from the property, and not only does one need a permit to burn it, if it should cause any medical impacts – such as affecting your husband’s breathing – it must be stopped immediately . 1. Talk to your neighbor and try to resolve the problem. The SPFD encourages you to inform your neighbor that they are breaking the law and are subject to financial penalties that could reach $6,000 per incident. 2. If your neighbor persists, call 9-1-1 and report the fire. It will be dispatched to the SPFD according to priorities at that moment. 3. If the response is unsatisfactory, call Chief Velias or the commanding officer of that shift. The SPFD doesn’t want to be smoke cops, but they realize that they are. 4. If the problem continues, call the Puget Sound Clean Air Authority and file a complaint. Following up with a written complaint.. If you feel like you are getting the run-around, call me as I have the cell phone number of the inspector for the southern Pierce County region. 5. If the above doesn’t work, call State Senator Randi Becker, State Representative JT Wilcox or State Representative Jim McCune (until Dec.21, 2012 due to re-districting) and tell them you need their assistance as the local folks aren’t getting the job done. 6. Document everything you do. Keep a phone log of who you call and a brief synopsis of what was said, including phone messages. Send copies to me. 7. Take photos of the trash-burning, legally of course (stay off their property), and send copies to me. 8. Email me the name and address of the person burning trash, and times when he/she typically burns. I will interview them, and put their infractions and your experiences during all of the above in the Mountain News-WA, along with follow-up questions to all the public officials you/we have dealt with. 9. Hire an attorney and file criminal and civil charges against the trash-burner. I consider their actions to be a form of aggravated assault, with concomitant medical expenses. 10. Make a copy of this note and give it to the trash burner. Please tell them that I do not tolerate their actions and will be seeking redress in your behalf, and writing about it all the way. 11. Know that you are not alone. Never. Thanks for your response. However, we have fought this “fire issue” for the last 15 years. What? Now my husband has to spend hard earned dollars going to the Dr just to have the firedepartment do their job?